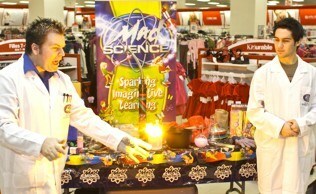 Mad Science of Long Island Sparks Imaginative Learning! Mad Science of Long Island Sparks Imaginative Learning! 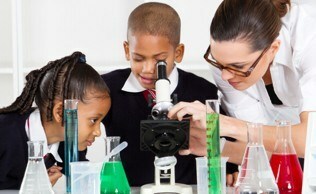 We are the top provider of fun science for kids in Long Island. You will find us at schools, libraries, daycare centers, recreation and community centers, scout group events, birthday parties, corporate events, camps, and much more. 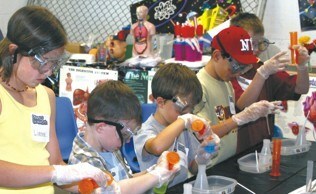 Our fun and interactive science workshops can be customized for any venue where kids are part of. Our energetic Mad Scientists are trained professionals that will come to you with awe-inspiring equipment, ready to engage and educate your children in an interactive and entertaining way that kids will love. Mad Science has transformed traditional boring science lessons into engaging science presentations. With our unique approach to kids science, your children won’t even realize they are learning. 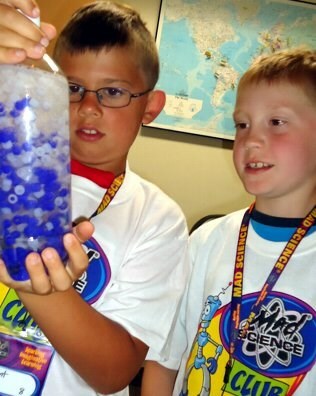 Fun science for kids is our forte, so be prepared for the overwhelming choices of hands on science workshops, parties, and group presentation we have to offer. 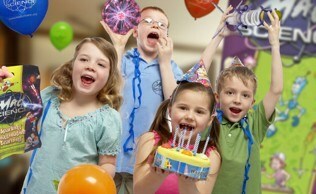 So, why are birthdays so important, especially for kids? Well, having a special day every year that is uniquely their own is a significant part of their growth process.